Marian’s favorite subject to photograph is “cats”, sometimes borrowing cats from friends and neighbors.She also enjoyed taking nature photos, never missing an opportunity to go to the zoo, parks and nature centers.She was very active in Southwestern Michigan Council of Camera Clubs (SWMCCC), winning “Best of Show” in nature slide competition.In 1986 she was awarded the Most Valuable Member in SWMCCC.Marian was also a member of Photographic Society of America (PSA) and earned a “Star Rating” in the nature division. Once in a while she would depart from her nature photography to participate in special projects.Members of the Grand Rapids Camera Club were asked to submit photos of Grand Rapids for a book, “In Celebration of Grand Rapids”.Marian was one of several members who had their photo accepted for publication. 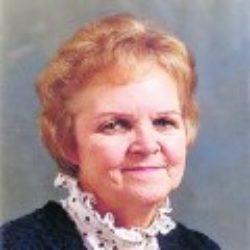 Marian was also very active in the Grand Rapids Camera Club organization, being a member of the board for many years as well as the club secretary.She helped with various committee’s and social functions.She also helped conduct workshops on slide preparation and presentation.